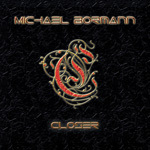 While always busy, it's been four years since vocalist Michael Bormann cut a solo album. He returns with Closer, his fifth solo album and another platform for his strong rock voice. 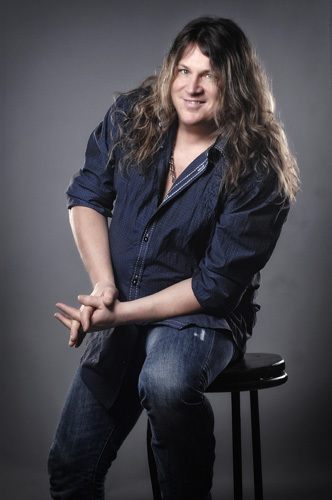 Additionally, Bormann played most all the instruments on the album and, excepting one (the Demi Lovato song, Warrior), he wrote all the songs as well. Closer is basically a melodic hard rock album, yet with some diversity. More straight rockers come with Never Say Die, Living It Up, I Wanna Be A Rock Star, and Down to the Bottle. They're all just fine, but rather typical of the genre. It's the somewhat different songs that create more interest. For instance, I'm Not Your Entertainment and Let's Make History, at the start of the album, are also rockers, but with more of that AOR pop accessibility. The rock groove is substantial and infectious in both, the refrains catchy. Can't Get A Touch Too Much has this white man rap thing going on with more than a little rhythm blues underneath. (Bormann does some more white boy rapping in Down to the Bottle.) Also, there's Because We Are The World, true radio-friendly ear candy. It's both inspirational and sentimental in focus, complete with a children's choir in the end. Unfortunately, some will probably call the song, cheesy. These might be the best songs here. As one might expect, there's a ballad or two. There's For This One Time In Life, which starts out light, like a ballad, but quickly builds to strong rock anthem. More so a traditional ballad is the following Closer, the title track with Bormann over mostly a simple piano. 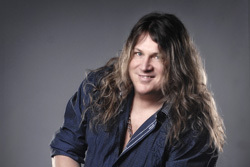 As for the Demi Lovato song, Warrior, Bormann performed this in a blind audition for The Voice of Germany, the German franchise of the popular international talent search program. It's another fine inspirational song, but taking a shot at The Voice doesn't make much sense to me. Bormann has been performing for better than three decades with hundreds of great musicians and with dozens of albums to his credit. What's he doing on a talent search TV program? He's got nothing to prove. Whatever. Overall, Closer is another fine showcase for Bormann's musicianship and vocal skills, yet with some songs more creative and interesting than others. Overall, Closer is another fine showcase for Bormann's musicianship and vocal skills, yet with some songs more creative and interesting than others.